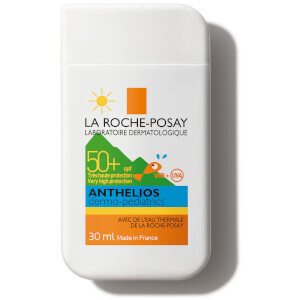 La Roche-Posay Anthelios Pocket Sun Cream SPF50+ is a very high protection sunscreen that delivers broad and photostable UVA/UVB face protection. Perfect for sensitive skin prone to sun intolerance and sun allergies, the ultra-light, non-greasy fluid delivers a veil of invisible protection; it shields skin from harmful UV rays known to cause sun-induced pigment spots and premature ageing. 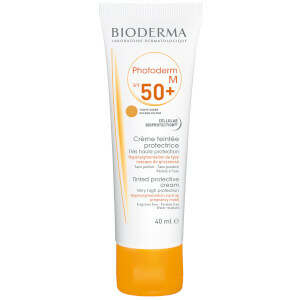 Formulated with an optimised version of Mexoplex® filtering system to reinforce SPF 50+ protection, plus soothing and antioxidant La Roche-Posay Thermal Spring Water. 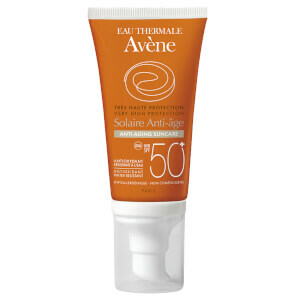 Safeguarding skin, the pocket-sized sun lotion allows you to stay protected on-the-go. Very water-resistant. Free from preservatives, parabens, colourants, fragrance and lanolin. Tested under dermatological control. Hypoallergenic. Non-comedogenic. Apply the sunscreen product just before exposure. Re-apply frequently and generously to maintain protection, especially after swimming, perspiring or towelling. Precautions: Over-exposure to the sun is dangerous. Keep babies and young children out of direct sunlight. 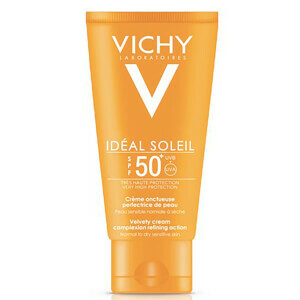 Do not stay too long in the sun, even while using a sunscreen product because it does not provide you 100% protection. 884474 1, Aqua / Water, Diisopropyl Sebacate, Alcohol Denat., Glycerin, Dimethicone, Isohexadecane, Butyl Methoxydibenzoylmethane, Octocrylene, Silica, Drometrizole Trisiloxane, Isononyl Isononanoate, Zea Mays Starch / Corn Starch, C12-15 Alkyl Benzoate, Styrene/Acrylates Copolymer, Ethylhexyl Triazone, PEG-30 Dipolyhydroxystearate, Bis-Ethylhexyloxyphenol Methoxyphenyl Triazine, Isododecane, Phenoxyethanol, Isopropyl Lauroyl Sarcosinate, Terephthalylidene Dicamphor Sulfonic Acid, Silica Silylate, Lauryl PEG/PPG-18/18 Methicone, PEG-8 Laurate, Caprylyl Glycol, Triethanolamine, Disteardimonium Hectorite, Tocopherol, Disodium EDTA, Dodecene, Propylene Carbonate, Poloxamer 407, Zinc Gluconate, Perlite, (Code F.I.L. : C162700/2). Please check back of pack for up to date ingredients. I really like the la roche-posey range as its always helped my acne prone skin never irritated are caused breakouts. I like this cream soakes in straight away doesn't leave no sticky feeling and my make up sits nicely as I suffer very oily skin I always feel it does my skin good.